With the blessings of Swami Chinmayananda, Chinmayagram was formed in Koyambedu, which has a glorious epical significance. 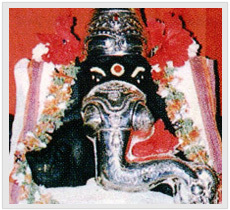 It is said that it was here in Saint Valmiki's ashram that Sitaji gave birth to Lava and Kusha, sons of Lord Rama. 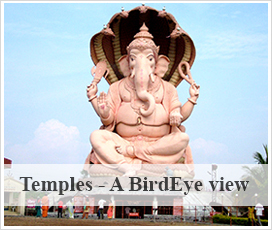 Sri Varasiddhi Vinayaka Temple at Chinmayagram was built in the year 1971 in a very humble way. Later in the year 1992, the temple was reconstructed and the Kumbhabishekam for the same was performed on 6th May 1993 in the divine presence of Pujya Gurudev Swami Chinmayananda.